It is called ‘media spin’. 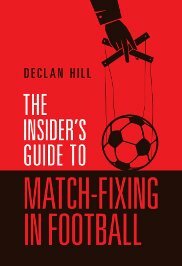 If you missed the story, a man who is involved in the Qatari anti-corruption agency for sports – Chris Eaton – is now claiming in the media that he is shocked about a new book that investigates whether the Qataris may have been offering bribes to win the rights to host the 2022 World Cup. This statement comes after the release by the Sunday Times journalists Jonathan Calvert and Heidi Blake of their book The Ugly Game. 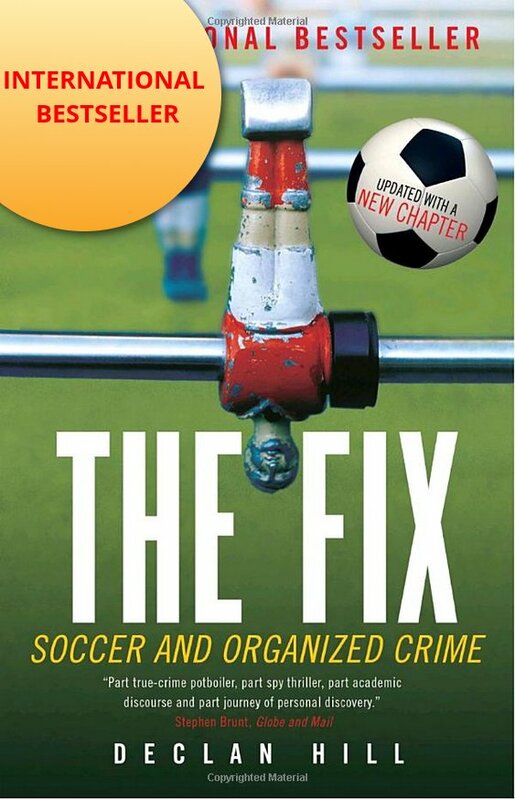 The book lays out – using FIFA documents – the tale of the Qatari World Cup bid. Chris Eaton’s statements are rather odd. You see Eaton worked for FIFA. Actually, Eaton did not just work for FIFA, he worked for FIFA during the time the Qatari World Cup bid went on. Actually, Eaton did not just work for FIFA during the World Cup bids, Eaton was Head of Security for FIFA and was asked to investigate the Qatari World Cup bid. The next year, Eaton went to work for the Qataris. Let us review the record of facts as laid out in The Ugly Game. In the fall of 2010, the Sunday Times published allegations that the Qataris were conspiring with the Spain/Portugal bid in a voting alliance for both sides to win their respective World Cup hosting rights. According to FIFA documents, a Sunday Times article of June 15 last year (link below) and the Ugly Game, Eaton was instructed in the fall of 2010 by his FIFA bosses to investigate the allegations. Eaton wrote to the Qataris asking if he could meet with them to discus the issue. Essentially, the Qataris told him to piss off. In an e-mail exchange quoted in The Ugly Game, the Qataris write to FIFA saying Eaton no jurisdiction in this matter. However, two weeks later, Chris Eaton wrote the Qataris a congratulatory message. January 2011, the Qataris sent Eaton, along with many other FIFA executives, an expensive gift. The Sunday Times book cites this gift as ‘a luxury watch and cuff links’. In March 2011, Eaton went to Qatar for the launch of their international anti-corruption agency in sport. He gave them his resume in case there was a job opening. At the launch of the agency, a key visitor was Mohammed bin Hamman. In September 2011, Mohammed bin Hamman the highest-ranking Qatari sports official and a man the Qatari bid team had described as their “biggest asset” was thrown out of FIFA for offering bribes. This was a massive case with media coverage around the world. It should be no surprise to anyone who works in the sports industry. In 2012, Chris Eaton went to work for his current employers the Qatari anti-corruption in sports agency. Police Officer: Hello, I understand you have been alleged to be involved in a murder? Police Officer: Congratulations on getting the job from the murder victim’s company. Alleged Murderer: Thanks. Here is an expensive present. Police Officer: Thank YOU! Here is my resume. Just in case there are some new jobs. To be clear, I do not think Chris Eaton was corrupt, just hugely stupid. You do not, as most police officers would be at pains to say, take gifts from people you just investigated. It looks bad. First, that is what investigations do – they find new evidence. It is not an investigation if someone has given you the new evidence before the investigation starts. In fact, if police waited for new evidence to be handed to them, they would not do any investigations. Second, what is the ‘if’ doing in the sentence? As in “if there is new evidence”. The Sunday Times journalists just wrote a 450-page book on the issue. They researched it. They wrote it. They triple-checked with all their legal people. It is a book. Read it. Then start the investigation – what are you waiting for? Who or what stopped you from fully investigating the Qatari World Cup bid when you were working at FIFA? The Sunday Times claims that FIFA documents show you accepted a gift from the Qataris in 2011: is this true? If it is true, why did you accept a gift from the Qataris months after not investigating their potential bid-rigging allegations? We are not saying you are corrupt, but surely such a gift looks very bad. Why would you accept it? Your current organization is an anti-corruption in sports agency in Qatar, will your organization now investigate the allegations of corruption in the Qatari bid for the World Cup? After all, you are the local boys. You should be able to get to the bottom of any corruption in Qatar. If you cannot, why would we trust your advice for corruption in other jurisdictions? http://tinyurl.com/qfbczsx – The Sunday Times article, FIFA documents available on subscription at the site. Please see the latest blog – Dead Men Walking – Case 1. For Fenerbahce supporters to complain about match-fixing takes hypocrisy to a breath-taking level.